He holds his hand up to her face. "Celebrate this? I hate this. I hate this every day" "You don't mean that" Lydie protests. "When the Gypsies come, you'll understand" "Don't you get it, Lydie? They never come for gimps like me" For a small town, Warsaw Junction has a lot of secrets. Who could guess that Augie Knapp, the kid who hides his deformed hand in a glove, has collected most of them . . . and hides them in an old suitcase? No one even suspects Augie has a secret of his own until Lydie Rose Meisenheimer blows into town and signs up for sixth grade. Driving a broken-down convertible, wearing a black straw hat, and proclaiming herself Augie's new best friend, she turns his days into embarrassing nightmares. But she also fills his nights with bright-shining visions of Gypsies -- Gypsies who could make Augie's dreams come true . . . if only he'd dare to dream a little harder. 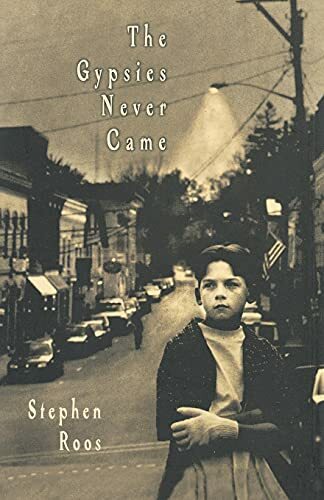 The Gypsies Never Came is a bold departure for well-known author Stephen Roos. It's the story of a boy who wants to belong, a story that will make you laugh, break your heart, and change the way you look at the world. Stephen Roos was born in New York and grew up in New Canaan, Connecticut. He attended Loomis School and graduated from Yale. After a career in publishing, he turned to writing. His first novel, My Horrible Secret, was published in 1983. Since then, he has written nearly two dozen other books for children, including Twelve-Year-Old Vows Revenge, Confessions of a Wayward Preppie, and You'll Miss Me When I'm Gone. Stephen Roos now lives in New York City. About The Gypsies Never Came, he writes: "For most of my writing, I have drawn on the lighter, goofier sides of my childhood. When I came to write The Gypsies Never Came, I knew it was time to turn to a side that I had always shied away from. Like Augie, I was born with a physical handicap. Lucky for me, I fell in with Gypsies. They weren't Augie's Gypsies. My Gypsies made music and acted and did all sorts of wonderful things. They included me. They taught me. They became my home"